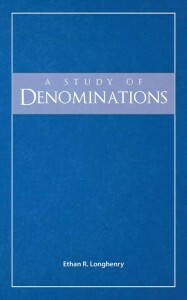 By some counts, there are over 2,000 denominations in the United States alone. Modern “Christendom” is full of the names of different people and groups spanning two millennia. How did we get to this point? Where did all of these groups come from? We will strive to partially untangle the web of denominational history here. We will examine denominational history in four phases for easier understanding; there are charts provided for each of the four phases. We will also consider many modern movements. That which hath been is that which shall be; and that which hath been done is that which shall be done: and there is no new thing under the sun (Ecclesiastes 1:9) . The first phase begins with the church as established in Christ by the Apostles to the end of the “catholic” church in the division of 1054. A large number of the denominations that began in this period are no more; nevertheless, many of their doctrines abound in denominations today. The first such groups even existed during the time of the Apostles. The “Judaizers”: We use the term “Judaizers” today to describe groups of Jewish Christians, especially those who had previously been Pharisees, in the first century who taught that Gentiles who converted to Christ should observe part or all of the Law of Moses. This belief system gained traction in Jerusalem in the years after God accepted the Gentiles into the faith (ca. 40-50), and the doctrine was the subject of an Apostolic council sometime between 48-50 (Acts 15). The determination was made by the Holy Spirit that the Gentile converts should not be bound by the Law of Moses (Acts 15:22-29). Nevertheless, many continued to teach these doctrines, and we see Paul confronting such teachings in Galatia, Corinth, and Colossae. The destruction of Jerusalem in 70 and the attendant cessation of the covenant between God and Israel curtailed this movement; later movements of Jewish Christians, such as the Ebionites, were small and not long-lasting. Gnosticism: A term from the Greek word gnosis, which means “knowledge,” Gnosticism is a broad term used to describe the various groups of individuals in the latter first century through the sixth century who seem to have infused Christian belief with Hellenistic philosophy to create entirely new brands of religion. The Gnostics are known to believe in a strictly dualistic world and for rejecting the God of the Old Testament, believing Him to be an inferior god compared to the Son. Gnostics were notable docetists, believing that Jesus was never “in the flesh,” but only the appearance thereof (hence, docetism, from the Greek dokeo, “to seem”). The beginnings of this group can be seen as early as the Colossian letter, where Paul warns against such philosophy in Colossians 2:8. Gnosticism proper seems to originate by the 90s, when John explicitly writes in his Gospel and his letters that Christ was in the flesh. These Gnostics were most prevalent in the middle of the second century, with one Gnostic in particular, Valentius, almost elected “bishop” of Rome. When so-called “orthodox” Christianity triumphed in the Roman Empire in the fourth century, Gnosticism per se declined sharply. Nevertheless, Gnostic influence can be seen in later groups such as the Manichaeans, Paulicians, Bogomils, and the Cathars. All of the Apostles had died by 100; therefore, direct connections to Jesus the Christ had become few and far between. The main bulk of Christianity began to slowly but surely stray from the truth, accepting too many conventions from the world around them. A distinction was soon made between “elders” and “bishops,” with a bishop presiding over a group of elders, and from there a bishop without necessarily having the elders present. “Bishops” of larger metropolitan areas began exercising more influence over the surrounding lands. Pagan festivals celebrating the spring equinox and the winter solstice were “Christianized” into Easter and Christmas, respectively. Many of these developments and changes had developed throughout the second and third centuries, yet they had certainly crystallized a new denomination by 312, when the “Catholic” church received official sanction from the Roman Empire. This entity would develop and last until 1054, when the western and eastern Mediterranean churches split, the former becoming the Roman Catholic Church, the latter, the Eastern Orthodox Church. The period of 100-1054 saw many divisions and dissensions over multiple issues, mostly concerning the nature of God, the Father, the Son, and the Holy Spirit. Marcionism: Marcionism owed its existence to Marcion, an individual who gained popularity in Rome in 140-144. His theology was influenced heavily by the Gnostics, and he denied the power of the God of the Old Testament. He promulgated the use of a limited form of the New Testament, including Luke’s Gospel and Acts, and many of the Pauline epistles, the former since Luke was a Gentile and the latter since he was sent to preach to the Gentiles. He found the God of the Old Testament contradictory and inhumane. The “orthodox” Christianity of the time rejected his argumentation, upheld the value of the Old Testament, and dutifully began the work of canonization of the Old and New Testaments. The specter of Marcion loomed large enough so as to merit refutation by Tertullian at the end of the second century; nevertheless, Marcion’s movement mostly died out or assimilated into other Gnostic groups. Montanism: Montanism receives its name from its founder, Montanus, a Phrygian and a former priest of Cybele. Around 172, he believed that he, along with the prophetesses Prisca and Maximilla, was given a dispensation of the Spirit, and uttered prophecies without control over his faculties. They believed that they were the last manifestation of the Paraclete (the Comforter), and that the battle of Armageddon would be fought soon and the “new Jerusalem” would come to earth in the small village of Pepuza in Phrygia. This movement was highly charismatic; one of the “church fathers,” Tertullian, eventually joined the North African branch of this movement. Even though apocalyptic hopes of the Montanists were left unfulfilled, this movement endured in some places for three hundred years. Monarchianism: A term meaning “rule of one,” this doctrine permeated Christianity in the second and third centuries. This doctrine claims that there is one authority involved with God. One form was “dynamistic” monarchianism, espoused first by the Theodotians (from around 190 until the fourth century) and later by Paul of Samosata around 260 and the adoptionist movement in Spain around 782. “Dynamistic” monarchianism involved the belief that Jesus was born a man and became God (thus, “adopted”) at His baptism. Another form of this belief system, “modalistic” monarchianism, was presented by Sabellius (around 215), suggesting that God is inherently unknowable, and that only through manifestations can He be seen. Therefore, according to such a view, the Father, the Son, and the Holy Spirit are the same person in different manifestations. Its opponents branded the doctrine as “patripassianism,” the “suffering of the Father,” since it demanded that the Father and the Spirit suffered on the cross as well since the form of God known as Christ was on the cross. “Modalistic” monarchianism is also known as modalism. Monarchian concepts would later be found in Nestorianism and possibly in the Paulicians. Overall, however, the movements failed to gain ground in “orthodox” Christianity. Manichaeism: Manichaeism, or the Manichees, comes from Mani, an eastern mystic, who believed that he was the manifestation of the Christ, God on Earth. Around 250, he developed his theology, which included tenets of Zoroastrianism, Buddhism, and Gnosticism, and was a blatant attempt to combine Western and Eastern religions. Manichees believed in reincarnation with an eventual deliverance from life, and that good and evil came from a primeval war between light and darkness. This doctrine persevered for awhile; Augustine’s first contact with religion was Manichaeism in north Africa in the fourth century. The infiltration of Islam overall tempered the growth of Manichaeism; nevertheless, a small group of Mani’s followers in Iran, calling themselves Mandeans, have persevered to the modern day. Manichaeism does have direct influence on the later Paulician movement, and by extension the Bogomils and the Cathars. Donatism: The term comes from one Donatus, a “bishop” who was one of the founders of the movement. They stood for holiness and purity in the church. They refused to recognize “bishops” or any religious authorities who handed over (Latin traditio) Scriptures during the persecution. Donatists are known primarily for their position on the Lord’s Supper: the one giving it to the people must be free from sin or the blessings are not provided. They are also known for their position on the church, believing that the individual was the focus, not the organization: the church should be simply the collective of individual Christians, not a hierarchical organization. The group suffered constant oppression and persecution from religious and secular authorities, but only died out along with the Catholic church in northern Africa with the Islamic invasions of the seventh century. Arianism: Named from Arius, a bishop who disagreed with the theology of the catholic church and believed that regardless of His glory, the Son is a created being and therefore cannot be considered part of the eternal Godhead. This belief began in the early fourth century, and was condemned as heretical at the Council of Nicaea in 325. Nevertheless, Arianism remained prevalent, with many leading bishops holding to the belief in the fourth century. In the fifth century, Arians converted many of the German tribes that overran the Roman empire. Arianism began to falter, however, when Justinian re-conquered the Italian peninsula for the Eastern Roman Empire in the sixth century, and was all but extinguished when Charlemagne gained control over most of central Europe in the eighth century. Nestorianism: The name derives from Nestorius, a bishop of Constantinople. In 428, he condemned the popular use of the title “Mother of God” (Theotoktos) for Mary, since the title seemed to give credence to the idea that the divine could be born of a human, or that God could be a baby. To him, Jesus as man and God was not an “essential union” but a merging of wills. His belief was declared heretical at the Council of Chalcedon; however, his doctrines persevered. To this day, there are Nestorian churches (known as the Church of the East) in central Asia. There is also some Nestorian influence upon the Paulicians of the sixth century. Monophysitism: This term derives from Greek words meaning “one nature.” Monophysitism is generally considered to be a reaction to the Nestorian movement, initiated by another bishop named Cyril of Alexandria, who posited that Christ had one nature, which was manifested as flesh and as God. This was codified in the council in Ephesus in 449. Further clarification regarding this position was necessary, since the language was being used to support two sides of an argument: the council of Chalcedon interpreted the council of Ephesus in such a way as to preserve the two natures of Christ in 451, and schism was inevitable. Reconciliation was attempted, especially by the eastern emperor Justinian and his wife Theodora, with the philosophy of Monothelitism, the idea that while Christ had two natures He had only one will. This combination of Chalcedon and Ephesus was unsuccessful; Monothelitism was soundly denounced, and the eastern church split into Catholic and Monophysite factions. Monophysitism remained prevalent in many places until around the eighth century; today, the only Monophysite groups left are the Syrian Jacobites and the Coptic church of Egypt. Pelagianism: The term comes from Pelagius, an individual from England who around 411 questioned the doctrine of original sin and believed that man was responsible for only his own sins, also denying the total depravity of man. While the eastern “catholic” church heard his views and found little with which to disagree, Augustine in the west hotly pursued Pelagius and his doctrines; in the end Pelagius was killed for his positions. The debate between the two positions, however, was by no means over: the Roman Catholic church debated for hundreds of years and in the end affirmed a more middle position, the belief that man has free will but God is the source of faith and belief. One can also see the debates in the sixteenth century and beyond concerning free will vs. total depravity in the Pelagian/Augustinian controversy. Paulicians: The Paulicians originated in Armenia in the sixth century, first associated with Nestorianism, but by the next century seen further west and demonstrably as their own movement. The Paulicians derive their name from the Apostle Paul, whose writings were held as inspired along with the Gospels; the rest of the Bible, they claimed, came from an evil spirit. The Paulicians seem to have been heavily influenced by Marcionism, the “dynamistic” monarchianism of Paul of Samosata, and Gnostic/Manichaean philosophy. The group reached the height of its power in 844 with the formation of a Paulician state in modern-day Turkey, but soon afterward persecution from the Eastern Roman Empire intensified. In 970, many of the Paulicians of Syria were deported to the Balkan region of Europe, where they converted many of the local Bulgars (then called the Bogomils) to their views. A group of Paulicians remained in Armenia until around the eleventh century. Bogomils: The Bogomils were active in the area around Bulgaria beginning in around the ninth century. They inherited a dualist theology from the Gnostics through the Manichaeans and the Paulicians. Harassed by the Roman Catholic and Eastern Orthodox churches, the Bogomils were eventually wiped out by the expansion of Islam into the Balkan region in the fifteenth century. Some Bogomil missionaries, however, traveled to southern France in the twelfth century and helped to establish the Cathars there. After the sixth century, the real schism between the western and eastern factions of the catholic church became more and more apparent. For the next four hundred years, the two entities drifted further apart, due to linguistic and cultural differences and political boundaries. A controversy over how the Spirit was imparted, through the Father alone (which the east believed) or through either the Father or the Son (as the west believed) proved to be the final straw; in 1054, the bishop of Rome sent a bull of excommunication to the Patriarch of Constantinople, who responded in kind. This act effectively created the Roman Catholic Church in the west, and the Eastern Orthodox Church in the east. Let us now examine the period from the schism between east and west to just before the period of the Reformation in the west. The Eastern Orthodox Church did not go through any major alterations after the eleventh century; the church would eventually be organized on national lines, but all affirm the same doctrines. The Roman Catholic church was continually beset by many divisions and schisms even before the Reformation. Waldensians: The Waldensians come from Peter Waldo, a wealthy merchant around 1175 who sold all of his property and urged a return to “apostolic poverty.” The group that eventually followed him was called the Poor Men of Lyons, and was later deemed the Waldensians. The Roman Catholic church at first accepted the group, but later the preaching of the Waldensians led to persecution. The group survived, however, and in the sixteenth century agreed to combine with the Reformed Church in the Calvinist tradition. Cathars: The Cathars, or the “Cleansed,” began as a group around the same time as the Waldensians, in southern France. They were also named the Albigensians, from the city of Albi, where many such Cathars lived. The Cathars were heavily influenced by the Bogomils, and held to an essentially Gnostic theology. By 1200, the Cathars were poised to take over southern France; nevertheless, the Roman Catholic church began to persecute them heavily in the late twelfth and early thirteenth centuries with a crusade and an inquisition, and severely curtailed the movement. It may also be noted that there is also some evidence that around the eleventh century in southern France, the truth of the Gospel was being preached. John Wycliffe and the Lollards: An English priest of the fourteenth century, John Wycliffe taught that Christ is the only King of men and rested his authority in the Bible. He began the work of translating the Bible into English, and for both his preaching and his actions, he was strongly denounced by the Roman Catholic officials. The Lollards followed after him for some time, although the movement dies out within the fourteenth century. After the “heresy” of Jan Hus, Roman Catholic officials dug up Wycliffe’s bones and burned them. Jan Hus and the Hussites: In the Holy Roman Empire, the portion of which we now call the Czech Republic, Jan Hus also began to question the Roman Catholic church’s practices in the early fifteenth century. Many of his difficulties with the Roman Catholic church would be echoed by Luther about a hundred years later. Hus was burned at the stake in 1415; his followers, the Hussites, were strongly persecuted; however, they were able to survive, recognized later as the Moravian Brethren, affiliated with the Pietist movement of the seventeenth century. Let us now examine the time of the Reformation, beginning proper in 1519 with Luther’s quarrels with the Roman Catholic church and ending in the eighteenth century with Wesleyanism, the reformation of theology that occurred within the Church of England. By the sixteenth century, the trials of the medieval world had faded. Western Europe was in the middle of what is deemed the Renaissance, a time of philosophical and theological regeneration. The invention of the printing press in 1450 by Johann Gutenburg allowed knowledge to be spread and read quickly and easily. Literacy rates increased, and soon after, many began to question the Roman Catholic church’s positions and stances on theology. The first to question was Desiderius Erasmus, who wished to change the way the church was acting; however, it would be up to his friend Martin Luther to activate change in Europe. Lutheranism: Lutheranism derives from Martin Luther, the original reformer. The Roman Catholic practice of indulgences (the belief that giving a specific donation to the Roman Catholic church would free one’s soul from purgatory), among other things, troubled Luther. He established 95 theses about the church’s practice and nailed them to the door of the church in Wittenberg, Germany, in 1519. After a debate with the local Catholic bishop on these things, Luther’s ideas gained popularity. Although Luther only wished to reform the Roman Catholic church, reconciliation proved impossible in 1525 when Luther was excommunicated. Seeing no other viable alternative, Luther split from the Roman Catholic church, thus forming his own organization. Within the next century, Luther and his theology of “faith alone” would spread throughout many portions of the Holy Roman Empire and all of Scandinavia. Anabaptism: Anabaptism (“baptism again”) derives its name from the belief that one must be baptized as an adult believer, thus requiring many individuals who were “baptized” as infants to be baptized “again.” This belief gained popularity in the Switzerland/southern Germany area in 1525 with the group named the “Swiss Brethren.” Many Anabapists followed after Menno Simons, who in 1536 began preaching the need to be baptized as an adult, and this group was named after him: the Mennonites. Many smaller divisions occurred in the Anabaptism movement, yet there is one that stands out: in 1697, Jacob Amman split from the Mennonite group because of his more conservative views on fellowship, thereby forming the Amish. The Anabaptists were heavily persecuted by Roman Catholic and Protestant alike. Many sought refuge in Russia, Germany, and later in North America as well. Calvinism: In 1536, John Calvin, a native Frenchman, established his theology in Geneva, Switzerland, with his work The Institutes of Christian Religion. Calvin’s theology, heavily influenced by Augustine, was predicated on a belief that God has already determined the fate of every man, and therefore that God’s grace alone saved men. This hyper-Augustinianism persuaded many, and many of Calvin’s disciples went out to spread his message. One such follower, John Knox, took Calvinism to Scotland, where the Presbyterian church was founded in the 1570s. In the seventeenth century, Calvinism took root in England in the form of Puritanism, which then took root in America. Today’s Congregational church (also referred to as the United Church of Christ) is the descendant of the Puritans. Calvin’s message was also taken to the area of the Netherlands in the early seventeenth century, leading to the formation of the Reformed Church. Anglicanism: Also known as the Church of England, this church began in 1537, when King Henry VIII of England split from the Roman Catholic church since the latter would not grant an annulment to his marriage with Catherine of Aragon. After suffering persecution under Mary Tudor, the Anglican church was firmly established as England’s church under Elizabeth I in the latter half of the sixteenth century. Anglicanism is still in existence in England and is known as the Episcopalian church in America. Baptists: The Baptist movement began in England, and in its beginning, preached and taught the need for immersion in water for the remission of sin (hence, called the Baptists). “Officially” began by John Smythe in 1608, the movement spread quickly to America, where it took root and grew. Doctrinally, however, many moved toward Calvinistic beliefs regarding salvation and baptism, where most stand today. Many Baptists are affiliated with the Evangelical line of thinking, which represents a broad range of conservative Protestants, with uniform belief on the ideas of salvation and eschatology. Religious Society of Friends (Quakers): The Religious Society of Friends began with one George Fox in England in 1648 as the result of supposed “revelations” given to him. He urged for reform in the thinking of Christians away from the concept of the “church” to a concept of a “society,” a group of Christians who held each other in equal or better standing. The group’s members received the term “Quakers” on account of the reports of people shaking with emotion in their assemblies. His movement was often persecuted, and is best known for its colony in Pennsylvania in America. Pietism: Pietism is a movement that began within the Lutheran church in Germany in the seventeenth century. The members of this group desired to have a deeper personal faith as opposed to the often cold liturgical faith of the Lutheran establishment. Although many Pietists remained within the Lutheran fold, many others branched out and founded churches of their own. The Moravian Brethren are the supposed founders of the movement, dating back to the time of Jan Hus in the 1450s, although it is possible that the Hussites adopted the Pietist philosophies in the seventeenth century. The Church of the Brethren, the Brethren in Christ, and many other churches came out of this Pietist movement. There is also a group of Pietists which combined with some Mennonites, and are now known as the Mennonite Brethren. Wesleyanism: Wesleyanism derives from John and Charles Wesley, members of the Anglican church. In 1729, they performed missionary work in America, and on the trip back to England, John learned of the faith of the Moravian Brethren. When back in England, the brothers founded a Methodist society and began to speak about the need of personal faith, sanctification, and “personal holiness,” the continual development of maturity in Christian faith. The brothers desired to preach the need for personal faith within the Church of England, attempting to reform it. This worked well in England, but when the message spread to America, the Methodists split off from the Church of England and formed their own church. Wesleyan holiness theology was very persuasive in nineteenth century America, and many “holiness churches” were founded. Many of these churches consolidated in the twentieth century to form the Church of the Nazarene. The nineteenth century saw the rise of America as a power in the world, the first government founded on the principles of freedom. The freedom of religion enjoyed in America led to a vast number of new ideas and thus divisions, and the story of these groups will occupy the majority of the rest of the history of denominations. Plymouth Brethren: The Plymouth Brethren began in 1827 in Ireland by four individuals who did not agree with the denominational attitudes of the “churches” around them and thus worshiped by themselves. This mentality spread, and the group (who simply are known to each other as the Brethren) had a large following in the town of Plymouth in England, and thus received their name. They are notable for the dispensational/premillennial belief system that would pervade much of nineteenth century American Christianity along with the modern Evangelical movement. The Restoration Movement: The Restoration Movement fully began in the 1820s in America by the preaching of Thomas and Alexander Campbell and Barton Stone. These men recognized that denominations had departed from the message of the Scriptures with their creeds and doctrines and therefore desired to return to the faith of the Apostles. To this end, the Campbells established the Disciples of Christ, and Stone the Christian Church. These two groups soon merged, forming the Christian Church (Disciples of Christ). In the 1920s, as a response to what was viewed as growing liberalism in the Christian Church (Disciples of Christ) congregations, many split off to form what are now known as independent Christian Churches. By the end of the nineteenth century, many within the Restoration Movement began to question some of the doctrines of the Christian Church (Disciples of Christ), especially regarding missionary societies and instrumental churches, and these Christians thus returned to the faith of the Apostles as given in the New Testament and took on the description of the Churches of Christ. Unfortunately, in the middle of the twentieth century, many such churches reverted to many doctrines of denominations, and many divisions have occurred as a result. Mormonism: Officially the Church of Jesus Christ of Latter-Day Saints (LDS), Mormonism began with Joseph Smith, who claimed to receive a special vision in upper New York state in the 1820s, but the official beginning of the denomination was in 1830. Smith supposedly found plates written in “Reformed Egyptian” and tools by which to translate these plates. The resulting work was the Book of Mormon, used as additional Scripture by the LDS. Smith would later write other works, The Pearl of Great Price and The Doctrines and Covenants. The LDS believe in continuing revelation through their leaders; however, at the death of Joseph Smith and the declaration of Brigham Young as President, many Mormons departed from that denomination and established groups based either solely on the works of Smith or on the works of Smith combined with revelation given to their leaders. The most significant such group is the Reorganized Church of Jesus Christ of Latter-Day Saints (RLDS), now known as the Community of Christ, which uses only the texts of Smith. Seventh-Day Adventism: The Seventh-Day Adventists began with some of those deemed Millerites, individuals who believed in the prophecies of William Miller, who believed the world would end in 1844. When 1844 came and went, many deemed this the “Great Disappointment.” One such adherent, Ellen White, believed that she was given a prophetic gift and urged men and women to still prepare for the second coming of Christ (the Second Advent). Seventh-Day Adventism is also known for holding to many portions of the Law of Moses, including the Sabbath and dietary restrictions. Christian Science: Beginning in the 1860s, a woman named Mary Baker Eddy believed that she was having revelations of truths kept silent since the Apostles concerning the illusion of reality and the superiority of “Mind” and spirit. Her work, Science and Health with Key to the Scriptures, posited that pain, illness, and even reality are merely mental conditions and that through correct discipline and training, one could control illness and disease. Through these beliefs she established “Christian Science” and the “Church of Christ, Scientist”. Jehovah’s Witnesses: Jehovah’s Witnesses (officially the Watch Tower Bible and Tract Society) originated around 1872 with Charles Taze Russell, who created the Watchtower Society to promote his beliefs. They derive their name from their practice of witnessing to others concerning the power in the “name” of God, the Tetragrammaton (YHWH) incorrectly translated as “Jehovah”. The New World Translation of the Scriptures was made by the Jehovah’s Witnesses to support their doctrines concerning the name of God, the lesser divinity of Jesus Christ, the lack of person of the Holy Spirit, and the perpetual existence of the earth. The Salvation Army: The Salvation Army was established by William Booth in England in 1865 as essentially a modified form of Wesleyan Methodism, focusing on the need for benevolence while literalizing the metaphors in the Bible concerning “military” organization within the church. Pentecostalism/The Charismatic Movement: Pentecostalism originated in the beginning of the twentieth century from the Wesleyan Holiness movement of the nineteenth. It was believed in 1901 that a woman received the “baptism of the Holy Spirit,” since she supposedly spoke in tongues and demonstrated the gifts of the Holy Spirit as seen in the time of the Apostles. In 1904, this movement took off in Los Angeles with a revival in a building on Azusa Street, and many individuals were strongly impacted by the “baptism of the Holy Spirit” that occurred there. Many denominations, such as the Church of God in Christ (COGIC), the Assemblies of God, many of the Churches of God, and others began around this time because of these events. Some of these Pentecostals began to believe around 1914 that baptism ought to be administered in the name of Jesus alone, since all of the features of God may be found in Christ alone. These individuals became known as the Oneness Pentecostals, and the United Pentecostal Church and some other groups are a part of this movement. Finally, in the later years of the twentieth century, many televangelists and others began to synthesize the gifts of the Holy Spirit with standard Evangelical-type theology, creating the “third wave” of Pentecostalism. This is seen especially with the proliferation of televangelism and also many churches such as the Vineyard Association of Churches. International Church of Christ: Also known as the Boston Movement or the Crossroads Movement, the International Church of Christ began with Kip McKean, who, in 1979, established a congregation near Boston, Massachusetts, based upon his teachings, which were a combination of the doctrines of the Crossroads movement (which taught the idea of “discipling”) and his own beliefs. Originally tenuously accepted by other congregations of churches of Christ, the growing radicalism of McKean’s doctrines led to a clear division between “mainstream” churches of Christ any any group associated with the Boston Movement. The ICOC has gone through significant tumult since 2002 after the dissolution of the head leadership and the departure of Kip McKean; he has recently begun the “Portland Movement,” attempting to return to the original concepts within the ICOC. These churches may go by the name “International Church of Christ” or “International Christian Church” (ICC). During the twentieth and twenty-first centuries we have seen a large growth in movement-based Christianity. The popularity of ecumenism in this postmodern environment has led many to cross denominational boundaries and establish trans-denominational movements that are very popular. Evangelicalism: The Evangelical movement finds its origins in the eighteenth century with the impetus to go out and promote the Gospel (or evangelize) that was shared by many denominations. Wesleyanism, Baptists, some Calvinists, and some Anglicans initially took part. The movement has continued to the present day. The Evangelical movement is based mostly on a “faith only” belief system, with most believing in some form of the “once saved, always saved” doctrine. Evangelicals tend to be dispensational/premillennial in eschatology, and at different times have been instruments for progress and conservatism in politics. Ecumenism: The ecumenical movement was first organized in 1910 at the International Missionary Conference in Edinburgh, Scotland. The movement attempts to unify divergent Christian denominations by emphasizing shared beliefs while minimizing differences. The movement is best manifest in the World Council of Churches and the National Council of Churches, organizations devoted to inter-denominational dialogue and action. As postmodernism and relativism have grown in popularity in the past fifty years, more and more denominations are becoming a part of the ecumenical movement. Fundamentalism: Fundamentalism is a movement within Evangelicalism that began in the late nineteenth century as a reaction to the “liberal” tendencies in many Protestant denominations that undermined confidence in the inspiration of the Bible. Other evangelicals and fundamentalists parted ways in the 1940s; today, fundamentalism is marked by passionate defenses of the perceived “fundamentals” of the faith, often involving as much tradition as it does substantive Biblical truth. The Community Church Movement: Community churches are first seen explicitly in the 1920s, although financial necessity may have compelled various members of denominations in small villages to meet together in times past. The Community Church movement is a consequence of the evangelical and ecumenical movements: if denominational boundaries are not going to be considered important anymore, the impetus is there to have an organization without any such denominational affiliation, and therefore we have community churches. While community churches profess having no denomination, the doctrines of denominations, particularly those present within the Evangelical movement, abound. The House Church Movement: While Christians have met in houses since the beginning (cf. Philemon 1:2), and there is no stigma to meeting in houses per se, in the latter part of the twentieth century there has been a movement to rid churches of many of the vestiges of traditionalism, and many such persons have established “house churches”. The difficulties with such movements are not in meeting in houses per se, but the other doctrines that tend to go with such groups. The Megachurch Movement: While there have been many churches of large size before the modern day, beginning in the 1950s, America and other “Christianized” countries saw the emergence of very large churches having many thousands of members, now called “megachurches”. Half of existing megachurches are not affiliated with a particular denomination but have connections to the Evangelical and Charismatic movements. Many megachurches develop as cults of personalities surrounding popular preachers. Megachurches tend to emphasize services heavily influenced by modern forms of entertainment and focus on self-empowerment through small groups and inspirational literature. Megachurches are also known for their large buildings, support groups, coffeehouses, bookstores, and other forms of marketing and materialism. The Emergent Movement:The twenty-first century has seen the birth of the emergent movement, a diverse group of individuals, mostly of the Evangelical movement, who seek to communicate to the postmodern world using postmodern conceptualizations of Christianity. While the members of the movement would like to bridge the divide between “liberal” and “conservative” branches of Protestantism, there is much concern regarding their wholehearted embrace of postmodernism and its ideals. We have now reached the present time and can see, if only quickly and without exhaustive detail, the development of the denominations and movements that exist in the “Christian” world today. The path is difficult to determine and very confusing, yet we can see that the majority of these denominations were established on the basis of new ideas of men and those who would follow them. The rest of the study will focus on these ideas and doctrines to determine whether or not they are in harmony with the teachings of the Scriptures. I am doing similar research. The questions I am trying to answer is these: (1) What was the original intent of denominations? (2) What structure today is most Biblical? (3) Where should the decision making take place? Is it with the local church or the hierarchy? Any thoughts or resources you can lead me to? I believe that all this different denominations is because of the human factor. I like this or I don’t like this. My understanding is this or that. So the root of different denominations is because of the differences between man. It is not based on biblical ways, but the ideas of mankind. And I believe this is wrong in the eyes of God the Father, Son and Holy Spirit. The focus must be: What is the Word of God said. As a follower of Jesus thee Christ, why must we pass the responsibility to a system? Why can’t we as humans “The Church” can’t the responsibility? According to I Corinthians, the church is men and woman. Not a building on a street address with a name on it. Denominationalism (including single congregation denominations made popular in thge last century to the present) is a work of Satan through the willingness of men to succumb to pride and greed. Christ said that a house divided cannot stand. I see the arc as it nears full circle. We began with one true and apostolic Church, a myriad of shards have split away, and from them a myriad more of splinters. Now comes the spirit of Antichrist, to form those splinters of disparate belief into a single amalgamation of anti-christian belief, the likes of which are propelled by post modern ecumenism. It is Christ re-envisioned; the son of perdition is soon to be birthed into the world by the faithlessness of men. May God pour out His great mercy upon us sinners. One correction; Baptist have never taught baptism was part of Salvation. They teach baptism is symbolic, as a picture of the death, burial & resurrection of Jesus Christ. The thief on the cross was an example, who was not baptized, but the Lord said, “Today you will be with me in paradise,” when He believed in Jesus. The doctrines of Baptist today (at least, Missionary Baptist, and Independent Baptist) are the teachings from the original Church that Jesus established with His disciples. The Religious Society of Friends (Quakers) were one group that facilitated such things earlier than many others. Both Seventh-Day Adventism and Christian Science originate with female “prophetesses”. Denomination is a demon that has created a veil in the body of Christ,causing one part of the same body to see itself more better than the other.Christians we must arise against this demon!.why not look into the scriptures and see the Truth.If we will win the world to God them we must look beyond DENOMINATION!.Who told you that you are better than the other brethren.what you believe is not important, but the WORD of GOD is FINAL! WE ARE ONE ! I have recently written a book in which I describe denominations as brands of soda: What is the BEST type of soda? Obviously there is no “best” since it’s a matter of taste, not quality. All soda is mostly water with some man-made ingredients added to make it more pleasing and palatable to us. All denominations are the Living Water with man-made creeds added in order to make our obedience more pleasing and palatable to us. They are not “evil” or “satanic” as Obot says. They are simply symptoms of our weakness and laziness as people. Unfortunately that sounds like declaring victory in defeat. If we’re adding man-made ingredients, have we not all fallen for a gospel that is really not a Gospel (Galatians 1:6-9)? I also want to comment on something said in the House Church Movement section. “The difficulties with such movements are not in meeting in houses per se, but the other doctrines that tend to go with such groups.” I believe this: In essentials, unity. In nonessentials, liberty. In all things, love. Our fellowship which meets in my house has many differences of belief in non-essential doctrines. We all agree in who God is and who we are in relation to Him. That’s pretty close to the only true essentials. As long as we are truly driven by love, the differences in non-essentials need never cause division. Plus, it’s kind of like the gov’t in which the three branches limit each other. We each limit our “freedoms” in order to not offend our brothers. You seem to be saying there are only two essential doctrines. How did you determine what is essential? How can we worship in spirit and truth, if truth doesn’t matter? What then was the purpose of all the letters written by Paul, Peter and others, if it wasn’t to correct and instruct in what should be done in the church and lives of Christians? Good Morning, Where are the charts? They should be linked in the section headers. Hello, I am also looking for the “charts” that should be linked in the section headers. Can you explain how to find them. I went to the section headers and they don’t seem to link to any charts. Thank you. Great work! That’s, actually quite interesting, because Mormonism claims to be a restoration of the Gospel. They believe the Book of Mormon to be actual evidence of this restoration and that after the fall of the Apostles, the church fell into a state of apostasy because of the wickedness of men. It’s not exactly that the people are evil today, in fact I believe the vast majority are good. But why on earth are we divided, we really shouldn’t be. Christ only taught one gospel, we don’t have the authority to change the truths that he and the prophets had taught… which leads to another question, why did the bible stop after the apostles, surely if God has revealed to prophets since the days of Adam, He would have called more prophets and apostles since that time 2000 years ago, my opinion is that there really was an Apostasy, people fell into darkness, they choose to kill the apostles, in fact because of their wickedness, the authority of the apostles was taken from the earth by God. 17Jesus replied, “Blessed are you, Simon son of Jonah, for this was not revealed to you by man, but by my Father in heaven. 18And I tell you that you are Peter, and on this rock I will build my church, and the gates of Hades will not overcome it. 19I will give you the keys of the kingdom of heaven; whatever you bind on earth will be bound in heaven, and whatever you loose on earth will be loosed in heaven.” THREE THINGS HAPPEN HERE (1)HE ESTABLISHED PETER AS HEAD OF HIS CHURCH, AND (2)PROMISES THAT (OR MAKES A DECLARATIVE STATEMENT THAT THE GATES OF HELL WILL NOT PREVAIL AGAINST IT. THAT MEANS IT WILL LAST FOREVER AND (3) JESUS GIVES HIM AUTHORITY TO BIND AND LOOSE. WE HAVE A FORESHADOWING OF THIS IN THE DAVIDIC KINGDOM. THE KING HAD A 2ND IN COMMAND WHO WAS GIVEN THE KEYS TO THE KINGDOM, WHOEVER HE LET INTO THE KINGDOM WAS LET IN AND WHO EVER HE KEPT OUT WAS KEPT OUT. WHEN THE KING WAS AWAY HE HAD ALL AUTHORITY. IF THE 2ND IS COMMAND DIED A NEW 2ND IS COMMAND WAS APPOINTED THUS WE SEE AN UNBROKEN LINE FROM PETER TO THE PRESENT POPE. This is all addressed at Roman Catholicism, I: Authority. I realize this is months later, but I just recently found this link and blogs. There are numerous studies that have established that when Christ said “upon this rock I will build my church” that establishes Christ was speaking of the phrase “you are the Christ the Son of the living God”. He was not referring to Peter being the rock of the church. No where in the bible are Popes mentioned nor has Jesus ever said He would appoint a second in command. Christ as part of the trinity is Omnipresent. The induction of popes and establishment of the Catholic church is a creation of men and no church is mentioned in the New Testament but Church of Christ and Paul calls it Church of God. Did Peter hand over to a second Pope? The Church belongs to Christ. The confession of Peter was the basic foundation of Christianity and not Peter as a human being. The Holy Spirit is our guide in this dispensation.Let us look up to Him as a leader and not to mortals. An understanding of how and when different religious faith groups started can have a lot of merit. I’m sure any Christ-follower will agree that having a desire to know the Scriptures is important. I would also point out that knowing the effects that Emperor Constantine’s decisions had as they relate to a community of Christ-followers and the effect that religious bias has on how scholars translate the meaning of the text from Greek to English can also be of some benefit. A local community of Christ-followers in the first century was a voluntary fellowship of individuals whose assemblies were frequent and informal. They didn’t have a specific time or day of the week set aside for them to come together. The activities that occurred was much more participatory with edification and the good of all as the guiding principle. In the centuries that followed, people began to think in terms of an institution. Instead of seeing believers as co-equals united by a common faith in Yeshua (Jesus), they gradually adopted an organizational structure. The basis for a lot of their beliefs about their corporate identity as a community of God’s people shifted from Scripture to tradition. We move ahead to the seventeenth century. When James I sponsored a new translation of the Scriptures, he instructed the translators to keep “ecclesiastical” terms. They were not to translate the original meaning of the Greek words where the context spoke of God’s people. Unbeknownst to many people today, the intent behind the King James Version of 1611 was to reflect the ecclesiology and episcopal structure of the Church of England. James wanted a translation that he could authorize for reading in the Churches of England. The entire translation committee were members of the Church of England. The result of their effort was the Authorized Version (AV) or the KJV. Consequently, ecclesiastical words that the translators intentionally inserted into the KJV and that do not convey the original meaning of the divinely-inspired Greek text include church, deacon, and baptism. Because the Churches of England have a hierarchal structure, the translators added the word office in I Timothy 3:1. Paul wasn’t writing about official positions within a local fellowship. He was speaking of individuals whose desire was to carefully look into the needs that people have with the intent of providing for their needs. We find the same religious bias about a community of believers being a “church” with some form of hierarchal structure carried over into a lot of translations. Even the different ways that translators treat the Greek word for “spirit” by whether or not they capitalize it reflects their religious prejudice. One truth that stands out in every reputable translation is the goods news of salvation by faith in Jesus Christ. I can clear up the confusion very easily. Until Moses there was no written word or denominations. God does not change and salvation has always been the same. Abram is the key to being saved by grace through faith. Same in O.T. as in N.T. Luke 9:23-24 Jesus said you have to give up your life for him to save your life a follow him. Ephesians 2:10 Understand you are giving up your life to walk in your purpose of “good works” not dead works. Romans 2:28-29, 12:1-3 As with Abram/Abraham when you follow your mind is renewed and heart circumcised. John 10:27, Acts 7:51 Circumcision opens our ears to hear our shepherd, Jesus Christ, so do not listen to men in which there is much confusion (John 16:13). It’s so funny to read these arguments with people saying that truth is based on reading scripture alone, without acknowledging that each group is basing their theology on a reading of scripture. Then one will argue that their reading of scripture is the more correct one, and somebody else’s is not. Knowledge, as our friend Paul said, puffs up. But Love Edifies. Also, let’s not stop at Roman’s 3, but read all the way through and mediate on Chapter 14, where Paul addresses divisions, and sums it up like this “WHO ARE YOU TO PASS JUDGEMENT ON SERVANTS OF ANOTHER? IT IS BEFORE THEIR OWN LORD THAT THEY STAND OR FALL. AND THEY WILL BE UPHELD, FOR THE LORD IS ABLE TO MAKE THEM STAND.” We don’t know each other’s hearts and why one person affiliates with one denomination over another, why should we assume it’s for sin’s sake, and not the place that Jesus’ has brought them on their journey. After all, now we see as in a mirror dimly. All of us. Even Paul felt that. Where is our humility and foot washing folks.